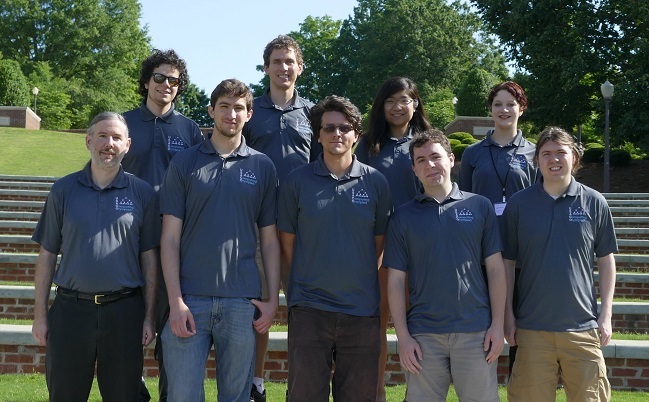 The USACO is currently organized by Dr. Brian Dean, Associate Professor of Computer Science at Clemson University, along with a talented and dedicated volunteer coaching staff, most of whom are undergraduate or graduate students at top computing universities. Dr. Rob Kolstad, our former head coach, continues to play an advisory role in the organization. From left to right: Brian Dean (Clemson), Jonathan Paulson (CMU / Jump Trading), Mark Gordon (University of Michigan), Jacob Steinhardt (Stanford), Matt Fontaine (University of Central Florida), Quanquan Liu (MIT), Nathan Pinsker (MIT / Google), Lisa Soros (University of Central Florida), Travis Hance (CMU).